Combining jungle villages, mountain climbs, hill tribe settlements and some of the most inspiring scenery central Vietnam has to offer. 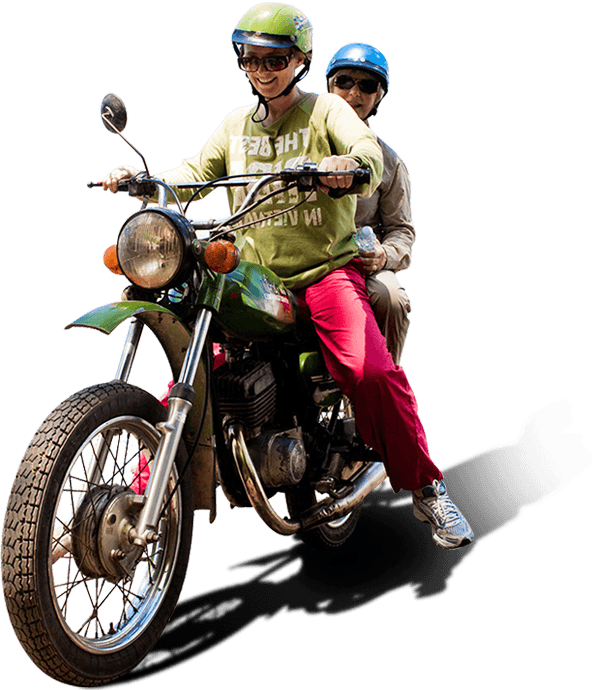 3 days/2 nights – Hoi An to Hue Transfer tours – This three-day adventure takes you through some of the most famous war sites on both sides of the north/south border including Camp Carol and the incredible Ho Chi Minh Trail. Combining jungle villages, mountain climbs, hill tribe settlements and some of the most inspiring scenery central Vietnam has to offer. 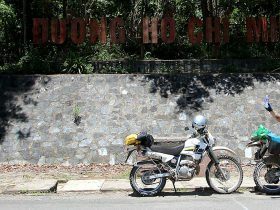 We experience a night in the Co Tu minority village of Bho Hoong where we will experience local cultures and customs as well as a night in the old military base of Khe Sanh with a visit to the remarkable Museum before crossing the 17th parallel to the awe-inspiring underground tunnel network of Vinh Moc. This tour shows you more about this country and its history than you thought possible. Not to mention the unbelievable riding! Tour starts at 8 am and finishes approx. 5 pm. Rise and shine for day two of our Hoi An Motorbike Adventure. After breakfast in the village, we say goodbye to our hosts and resume our bike ride to Khe Sanh. Today we travel the historic Ho Chi Minh Highway through lush rainforests and over magnifi-cent mountain passes. Take a refreshing dip in a mountain waterfall at midday, where we’ll break for a picnic lunch.We begin the afternoon winding through the A Shau Valley, a ruggedly beautiful valley that became famous during the American War as the site of many battles – the most famous being Khe Sanh – where we stay for the night. Before we check into the hotel we visit the Museum and former combat base that was under siege for 67 days. Riding along Highway 9, we pass famous American war sites like the Rock Pile and Camp Carol, before crossing the former border between North and South Vietnam at the 17th parallel. We arrive at the Vinh Moc tunnels, where an entire village went underground in the 1960s to survive the bombing. After exploring the tunnels, we head to a local beach where you can cool off with a swim. 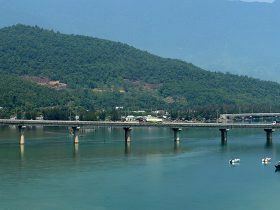 After lunch we drive along the coastline and arrive in Hue late afternoon.